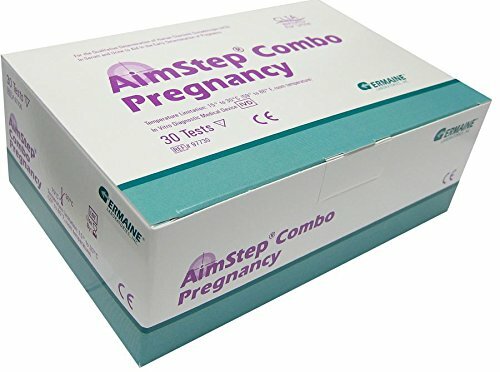 These pregnancy tests are designed for the qualitative determination of hCG in urine, to aid in the early detection of pregnancy. Recommended for professional use. All tests feature built-in controls to ensure accuracy, and are sensitive to 20 mIU/mL hCG. Results are available in 3 to 5 minutes, with 1 line for negative results and 2 lines for positive results. CLIA waived. If you have any questions about this product by Germaine Laboratories, contact us by completing and submitting the form below. If you are looking for a specif part number, please include it with your message.